3 people passed away after a plane crashed into a parked helicopter. 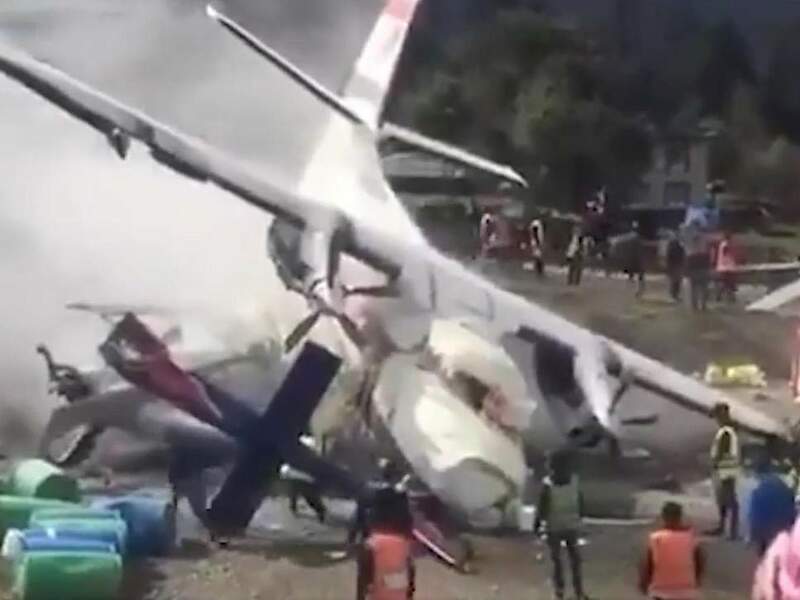 A small Twin Otter airplane crashed into the parked helicopter when it was trying to take-off at the Tenzing-Hillary Airport. The Tenzing-Hillary Airport is also known as the world’s most dangerous airport. The airplane slipped off the runway and crashed into the Manang Helicopter that was parked on a helipad. The Tenzing-Hillary Airport is located in Lukla, Nepal. Uttam Raj Subedi, the spokesman of the police said that the co-pilot of the plane and 2 police officers were killed in the incident. He added that 4 people were also injured in the incident that happened on Sunday, the passengers of the airplane made it out safely. Summit Air and the Manang Air run private flights for locals and tourists who want to visit the country’s most remote areas. The Tenzing-Hillary Airport is also known as the world’s most dangerous airport as it has a very short runway and is difficult to approach. 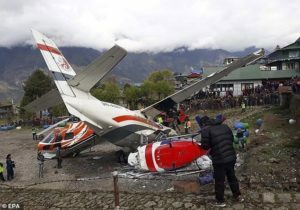 In 2017, a cargo flight was trying to land in the Tenzing-Hillary Airport when suddenly it lost its altitude and crashed into a mountain that was below the runway, both pilots of the cargo plane were killed. Officials said that poor visibility was the reason behind the accident.